Have you ever had your students complete a video project but then had difficulty figuring out how to share it? This is actually a common problem that teachers face all the time. This blog post will help to identify a workflow to help students save and share their videos using their Google Apps for Education, YouTube account. 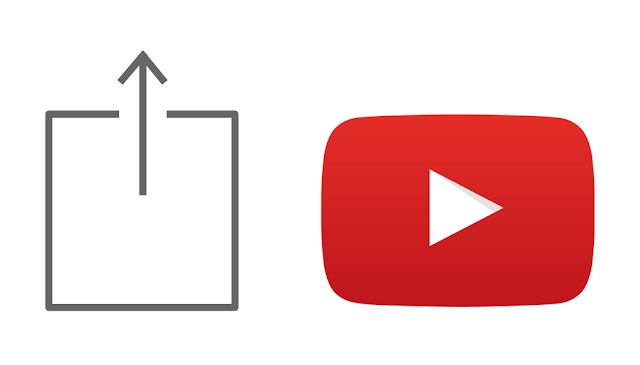 Before students can begin uploading their videos to YouTube, they have to activate their YouTube Channel. Often, students who are new users will create a video on their iPad (or other mobile device) and try to upload it to their YouTube account. However, if they haven't "activated" their YouTube Channel, their videos will not upload successfully. Students will need to first login to YouTube on a computer, and click the "Upload" button. Then they will be prompted to create an "available" username and select their gender. When they have successfully finished these steps, they can click the, "OK, I'm ready to upload" button. That's it! Their YouTube Channel has been activated and they can begin uploading videos from any device. Here is a video that demonstrates these steps. Now, to take this one step further, I also recommend that students adjust their Privacy settings based on their school's Acceptable Use Policy. Students and teachers can actually change their default upload setting to either Public, Unlisted, or Private. By default, videos uploaded to YouTube are set to Public. But by making a few extra clicks, any user can change their default uploads to either Unlisted or Private. To change your Privacy Settings in YouTube, click on your Profile icon in the top, right-hand corner and select the YouTube Settings button (gear icon). Next, at the bottom left-hand corner, select "View Additional Features". Then select "Upload Defaults" on the left-hand sidebar. This is where users can change their default Privacy, Category, and other settings. Finally, click the save button to update the changes. Check out the video below for a video demonstration of these steps. YouTube also has a "Safety Mode" feature for students. To turn ON "Safety Mode", simply scroll down to the bottom of your YouTube account and select the "Safety" button. This will bring up the option to turn Safety Mode ON or OFF. By selecting ON, this will also turn on Google SafeSearch as an added bonus. However, it is important to note that when Safety Mode is turned OFF, Google SafeSearch will also be turned off. Have you ever gone over a video you discovered fascinating, however didn't have room schedule-wise to watch it and in the long run overlooked it? All things considered, YouTube gives you the alternative to spare it for a later time. Simply hit the Watch Later catch to hold every such video under one tab. Hit the '+ Add To' catch on the YouTube site or application and select the Watch Later alternative to spare recordings for future review. I'm not a new users but I only use Youtube to watch other people's video and comment, these tips are new for me. Thank you so much!